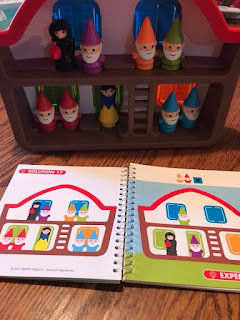 I'm always looking for ways to make learning fun for my kids. Playing games has always been a favorite way to add fun to our days. I love watching my kids smile as they play and don't even realize how much they are actually learning. My little guy loves games. He has really blossomed in this area and has wanted to learn things like checkers and chess. The big kids try to teach him but he doesn't quite get have the skills yet. 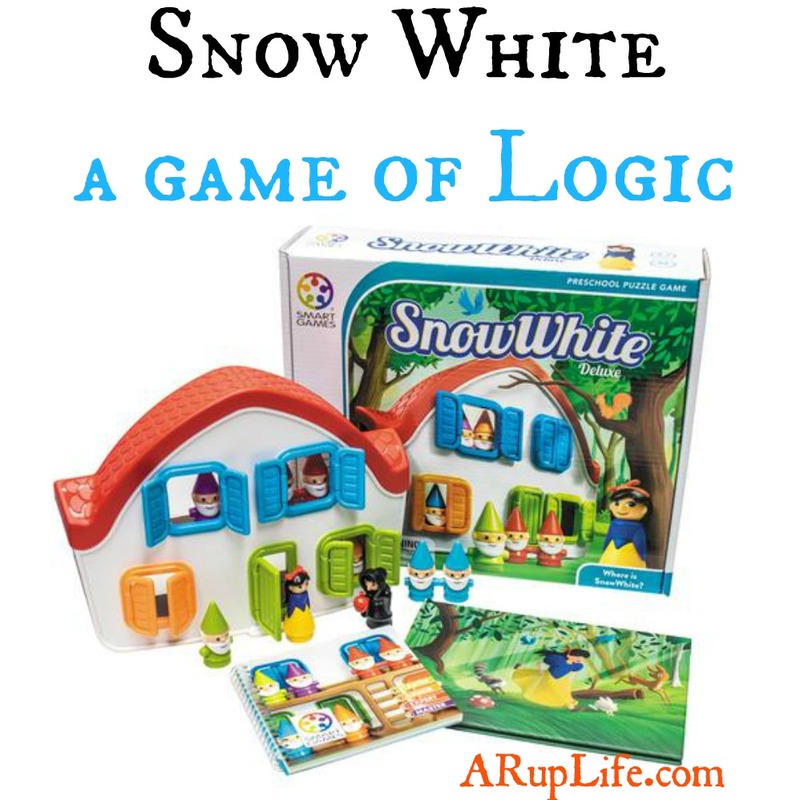 Timberdoodle recently sent us Smart Games Snow White Deluxe. 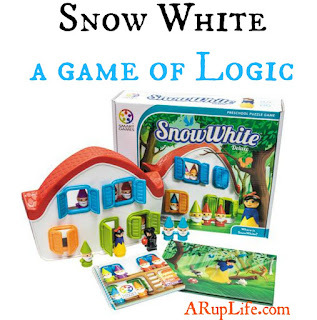 This game is designed for ages 4-7 and is based on the classic story of Snow White and the 7 Dwarfs. 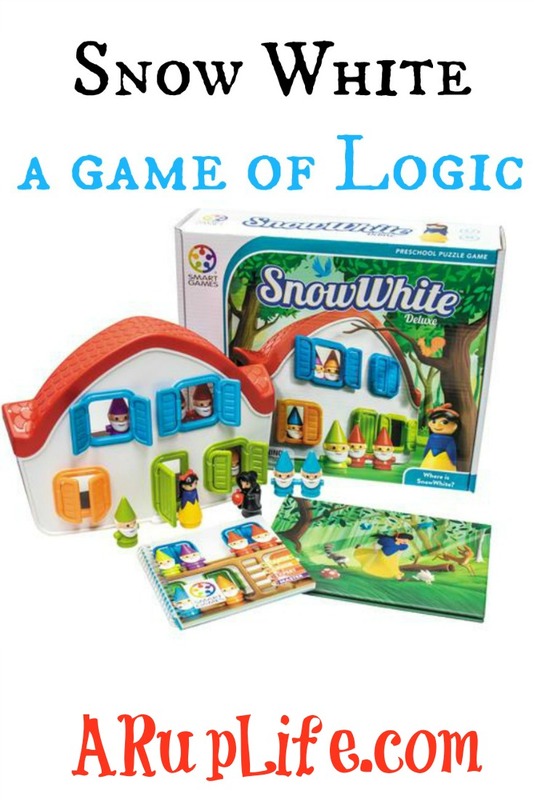 By using skills of deduction children will place each of the characters to solve a puzzle. 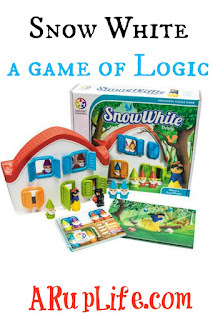 There are 4 levels of difficulty and game play can be on either side of the house. The game comes with a story book which has no words but is written in a comic book style. This was a very fun interpretation because we were able to tell our own story along with the pictures. My son liked figuring out the apple made Snow White sick and thought it was silly that a 'kiss' cured her. The figurines are very charming. They are little pegs that fit into slots inside the house. This adds an element of motor skills to the game (which is always a plus in our house!) They feature pleasant faces and bright colors. 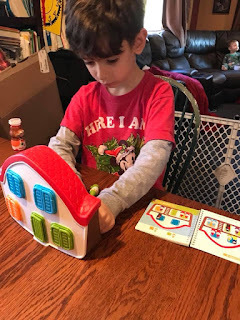 Using the puzzle booklet you set up the house with the initial instructions. Then you have to figure out where the remaining pieces go based on clues and finally the last piece is Snow White. In the beginning easy levels there are not many options of where these pieces go but as you progress in difficulty you might find a clue that says certain colors must be next to each other or they can't go in a certain color spot. After you think you have figured out the puzzle you flip the page to check your work. My son playing it turned 7 at the beginning of November. I thought he might be too old for it when I saw the beginning levels but we decided to start there anyways. It was a good move because he progressed easily but had great success from the start. 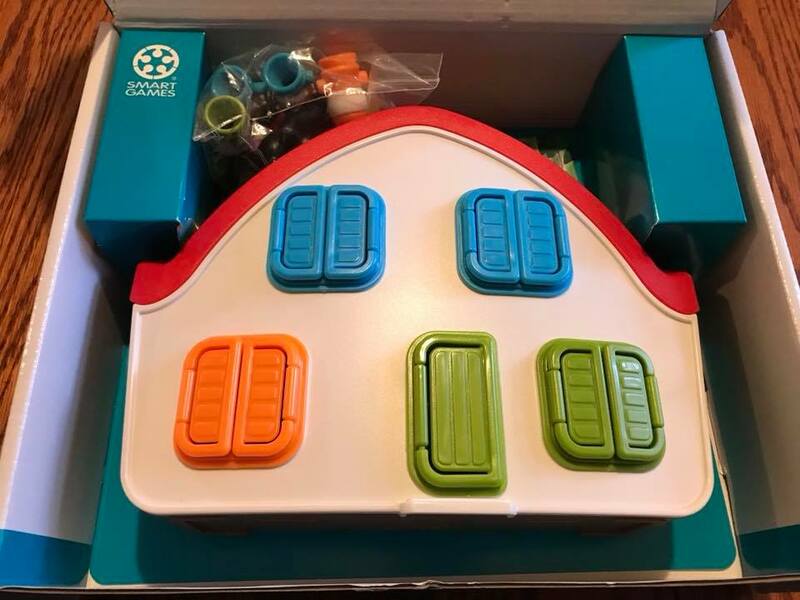 It helped him get a good foundation on how to set the house for each puzzle. As we went further through the levels and it became more challenging he had to go back to the beginning set up to see where he made mistakes. (This was great problem solving!) I sat with him while he played and "checked" to see if he put Snow White in the correct place. Mostly it was independent for him but he liked me there with him. I imagine in the near future he won't even want my help. First off, this game is ADORABLE! 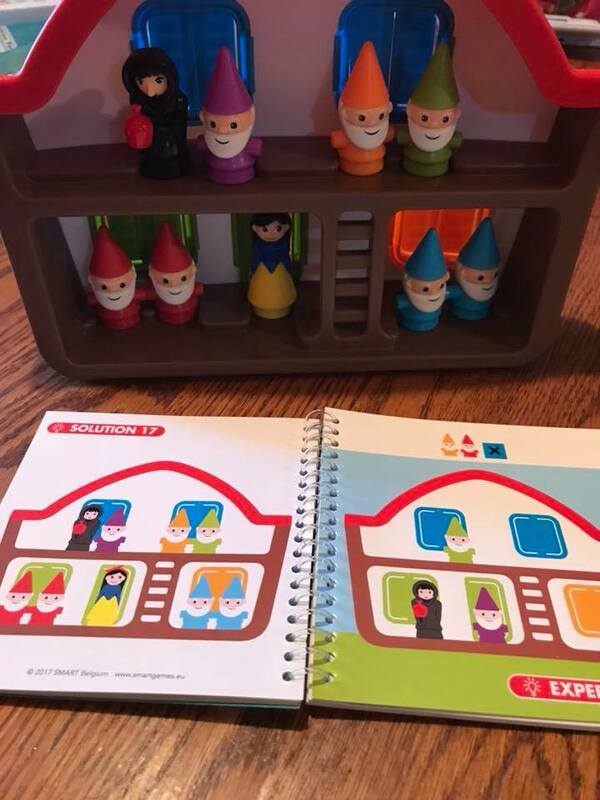 I love the little characters and the house. It is straight out of the storybook. 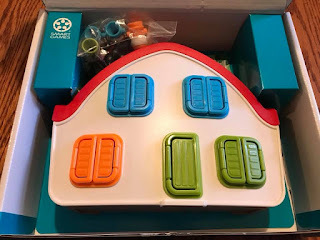 This was a lot of fun for my son and he has been enjoying playing with it. I like how it starts off easy but progresses. He had to think about where to put each piece and when the clues added in, it was challenging but still very enjoyable. I love that this game doesn't make noise, light up or have a ton of crazy rules and instructions. I've been enjoying this as a warm up for our school time. 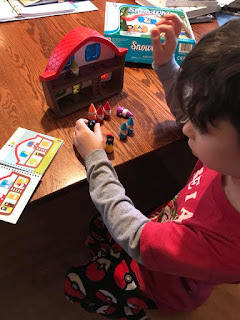 It helps get him sitting at the table to begin lessons with a fun activity and this game is perfect for that. I can totally see him wanting to just free play with this game as well. 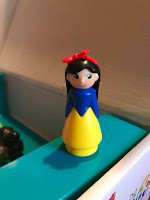 You can visit Timberdoodle.com for additional information on Snow White from Smart Games! This game looks adorable! I know my kids would enjoy it. This game looks so cute! We have the Little Red Riding Hood game from the same company.